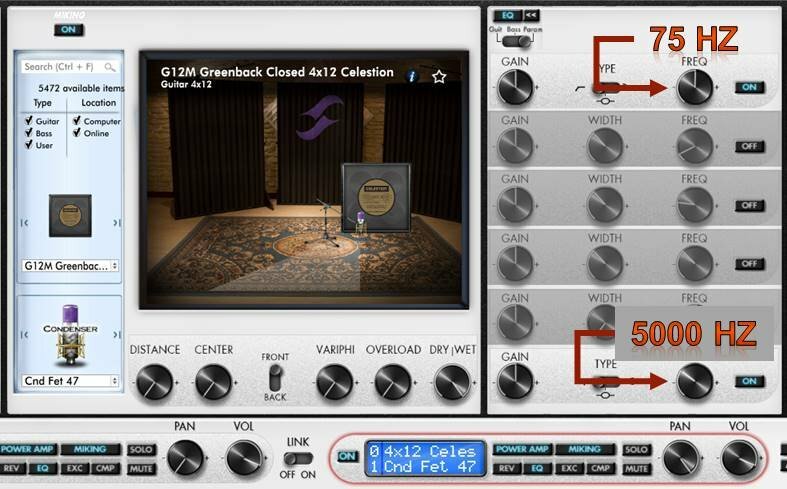 I use GM12 Greenback Celestion because I'm AC/DC fan. Last edited by patincunito on Fri, Jan 18, 2019 1:12pm, edited 1 time in total. Sorry for de images, I don't know why they look so big! Because cut is different, I guess. It can be -6 dB per octave, -12, -18, etc. -6 dB per octave is mild cut, -96 is abrupt. There's big difference in resulting signal, that's why you hear it. Torpedo and WOS don't allow us to control the steepness of cut. You can use the spectral analyser to see it in action. Also you can cut your signal a bit higher and then compensate the loss of bass with boosting desired frequency by unused EQ knob. Also don't use cuts if you are not sure what you are doing. Cuts are used to remove low end rumble and high-frequency hiss and noise. Listen carefully to signal - you can kill the musical harmonics. Start from 20kHz and lower the level until you hear that signal becomes dull and liveless. 5000 Hz generally is way too low for abrupt cut. 7000-9000 Hz is a nice starting point. I have no idea what you're tryiung to do ha ha. When picking up the Celestion cabinet, you, of course, pickup its frequency response. Why would you want to filter that even more? 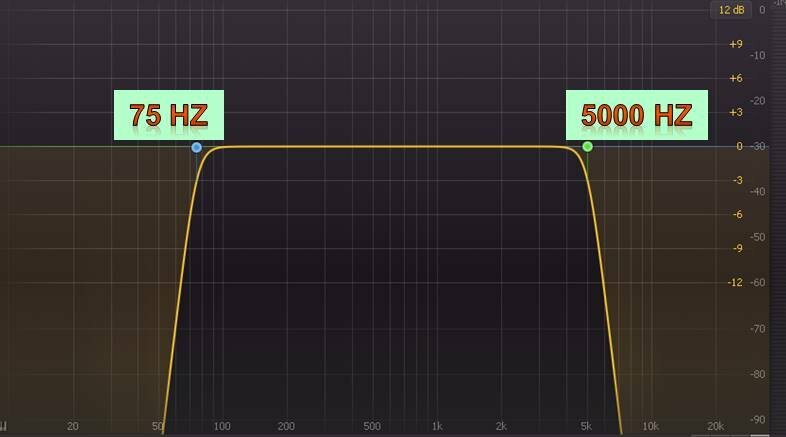 Also, the filter you want to apply does not look, at all, like the frequency response of a speaker. The values you find on the Celestion website not only are quite vague, but also the boundaries are not, at all, where the signal is totally cut. It's just roughly a -3dB decrease. Leave the cabinet sium as it is, don't do extra EQ, that's actually how the cabinet sounds in a room.